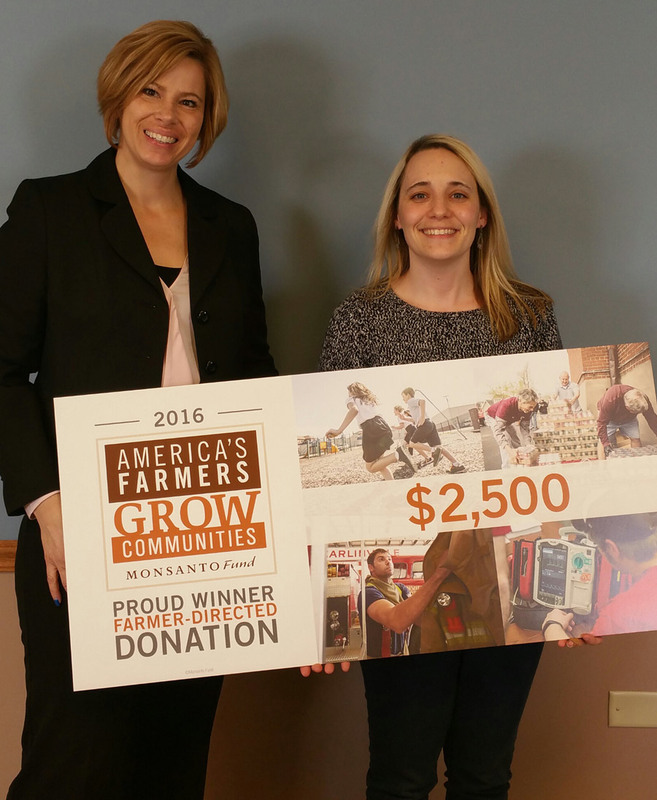 WARSAW — Junior Achievement serving Warsaw, Tippecanoe Valley, and Pierceton schools has received a $2,500 donation from America’s Farmers Grow Communities, sponsored by the Monsanto Fund and directed by local farmer and JA board member, Aubrey Rife of Kosciusko County. The donation will help the organization bring financial literacy education to area elementary schools for the spring session. America’s Farmers Grow Communities partners with farmers to support local nonprofit causes that positively impact farming communities across rural America. Grow Communities is one program in the America’s Farmers community outreach effort, sponsored by the Monsanto Fund. Other programs include America’s Farmers Grow Ag Leaders, which encourages rural youth to remain in agriculture and provides $1,500 college scholarships to high school and college students pursuing ag-related degrees and America’s Farmers Grow Rural Education, which works with farmers to nominate rural school districts to compete for $10,000 and $25,000 math and science grants. Visit www.AmericasFarmers.com to learn more.